Twelve months ago Brad Widdup was a keen onlooker at Hawkesbury’s annual Saturday Stand-alone meeting. About to embark on a training career, he was a guest of International Animal Health Products. Nearly a year to the day later, Widdup on Saturday will be back there attempting not only to win the sponsor’s race, but at the same time clinch his most important success when he saddles Lovani ($16) in the $200,000 Group 3 Livamol Hawkesbury Gold Cup (1600m). He has withdrawn the dual acceptor from the $100,000 Richmond Club Provincial Stayers' Benchmark 84 Handicap (2100m) to have a crack at the Cup. Widdup’s brother-in-law Christian Reith, with whom he has formed a successful partnership, will ride the former Melbourne mare. 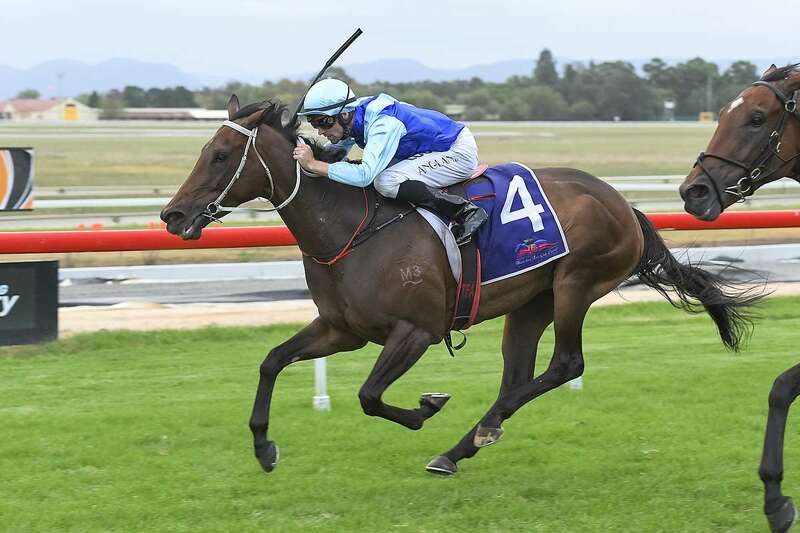 Lovani has had only four starts since joining Widdup’s team and broke through at her latest in a Benchmark 79 Handicap (2000m) at Hawkesbury on April 17, when carrying 58.5kg. The Cup might be carrying double the prizemoney as well as Group 3 status, but simply having a representative in Hawkesbury’s flagship race is not behind his decision to choose the tougher assignment. Widdup, understandably, also wasn’t fussed on again taking on Roman Son (Kerrin McEvoy) in the longer Provincial Stayers’ race, especially when she drew awkwardly. The pair met at Rosehill on April 2 in a Benchmark 79 Handicap (1800m) when Roman Son beat Lovani by four lengths. She would have had only a 1kg advantage over her conqueror had she contested the 2100m event. By any standards, it has been a remarkable debut year for Widdup. He began training at owner Damion Flower’s superb Platinum Park facility adjacent to Hawkesbury racecourse with eight horses, and scored with his first runner (Junglized) at Canberra’s ACTON track on May 26. Widdup has since prepared another 47 winners (43 this season) from 211 starters; his strike rate being 22.6% (one winner from just over every four starters). His biggest success so far came, with Reith aboard, at Warwick Farm on February 10 for Flower’s Jadeskye Racing when Sandbar won the Listed Lonhro Plate (1100m). The Snitzel youngster was subsequently runner-up in the Group 3 Pago Pago Stakes (1200m) at Rosehill Gardens on March 17 and a week later was his trainer’s first $3.5m Group 1 Golden Slipper starter when a game eighth of 16 (beaten only four lengths) to Estijaab. Four of Sydney’s leading stables will clash in the Gold Cup, with co-trainers Gai Waterhouse and Adrian Bott attempting to defend their “title”. The pair won last year’s feature with Fabrizio, and this time will be represented by current TAB $3.50 favourite Ecuador (Adam Hyeronimus). The now eight-year-old has raced only twice at Hawkesbury; finishing second there in April, 2013 at only his second start and then was sixth to Amovatio in the 2016 Gold Cup. He has been kept for the Hawkesbury race after finishing second to Cellarman in the Group 3 Doncaster Prelude (1500m) at Rosehill on March 31, and the form from that race seems certain to have a major bearing on Saturday’s outcome. James Cummings’s Duca Valentinois (Blake Shinn), last November’s Ladies’ Day Cup (1400m) winner at Hawkesbury and seventh in the Prelude, shares $6 second favouritism with leading trainer Chris Waller’s Mister Sea Wolf (third in the Prelude). Team Hawkes’ Kingsguard, fifth in the Prelude and to be ridden by the State’s current leading jockey Brenton Avdulla, is next at $6.50. Leading Newcastle trainer Kris Lees will race recent addition Articus (apprentice Jean Van Overmeire) in a nose roll, and has also been given stewards’ permission to apply synthetic hoof filler to both the import’s hind legs. The rail is in the TRUE position for Saturday’s meeting, and the track is currently rated a Good 4 with a penetrometer reading of 4.91. A total of 2mm of irrigation has been put on the track in the last 24 hours and 16mm overall in the past week. RACE 1: SHE KNOWS, Don’t Doubt Her, Our Rosemaree. RACE 2: GRAFF, Orcein, Stunts. RACE 3: GAULOIS, Philosophy, Stonebrook. RACE 4: BEZEL, Up ‘N’ Rolling, Nat King Cu. RACE 5: KURO, Glenall, Tango Rain. RACE 6: NANCY, Invincibella, Sedanzer. RACE 7: ECUADOR, Duca Valentinois, Kingsguard. RACE 8: VICTOREM, Warranty, Sambro. RACE 9: ROMAN SON, Letter To Juliette, Naval Warfare.